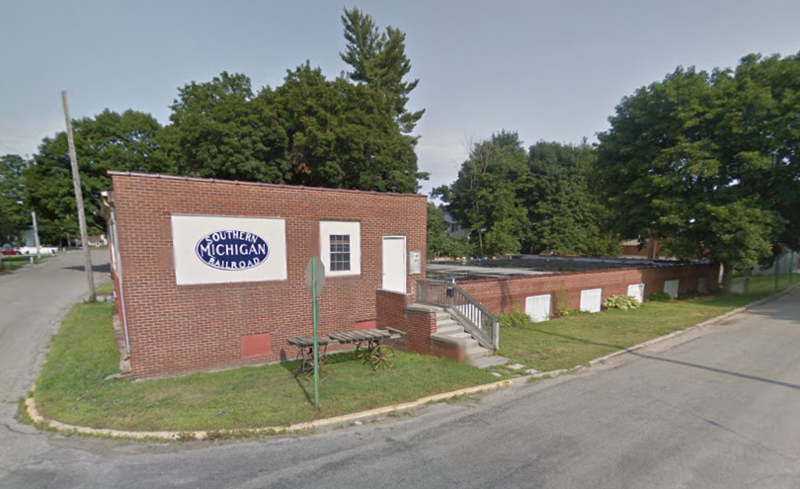 Since 1982, the Southern Michigan Railroad Society’s headquarters has been located at the corner of Clark and Division Streets in Clinton. 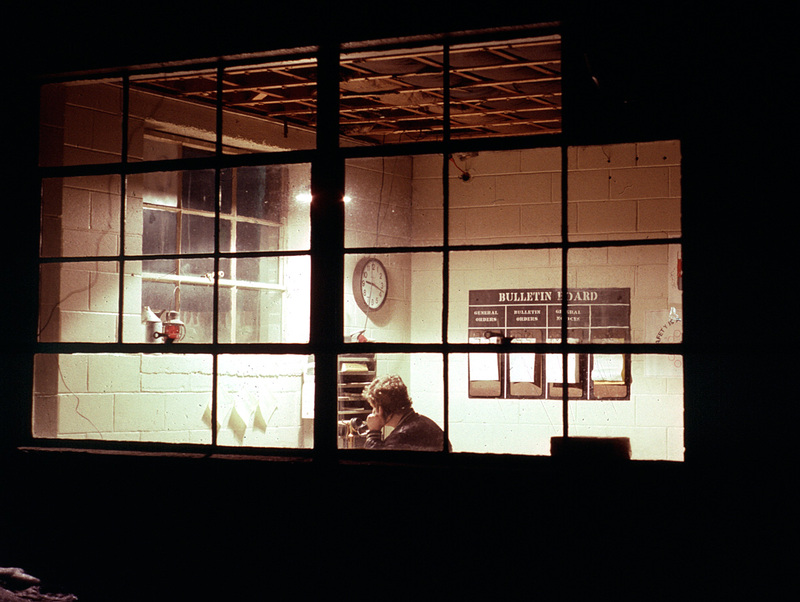 Formerly known as the Clinton Engines Building, the property has served the SMRS as an office, museum, workshop, station and more through the years. 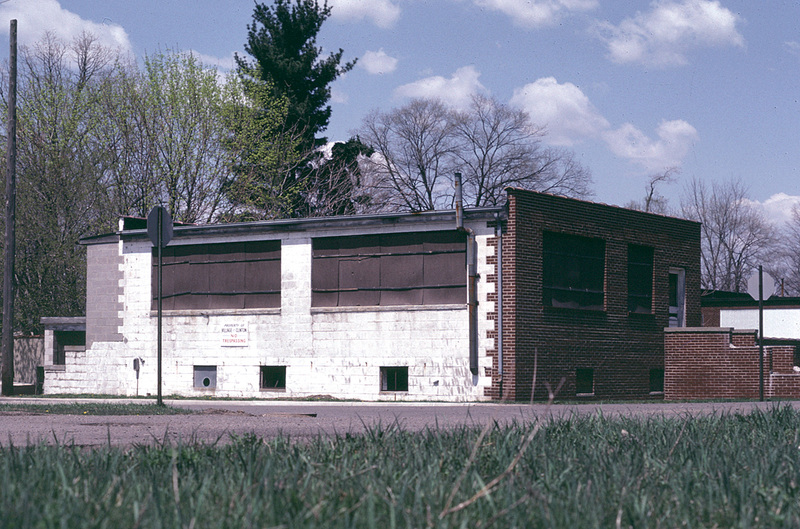 In the late 1800s, the Village of Clinton’s power plant was built at this location. In the basement of today’s building, it is possible to see the original stone walls of the old power plant. The building was later converted to a factory in the early 20th century, and for many years the Clinton Engines Company was located here. During World War II, Clinton Engines produced tank turret gears. 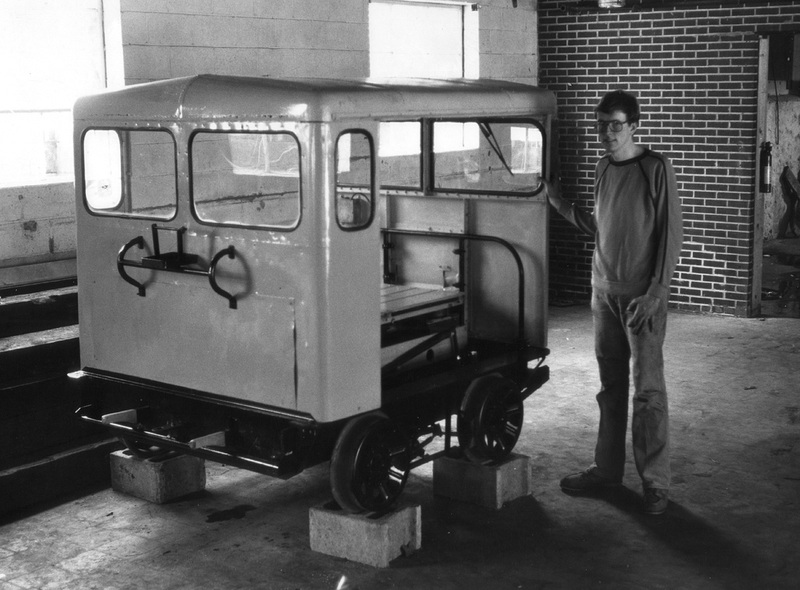 After the war, Clinton Engines increased their production of small gasoline motors, and moved most of their manufacturing operations to Maquoketa, Iowa, leaving some chainsaw and outboard motor production in Clinton. 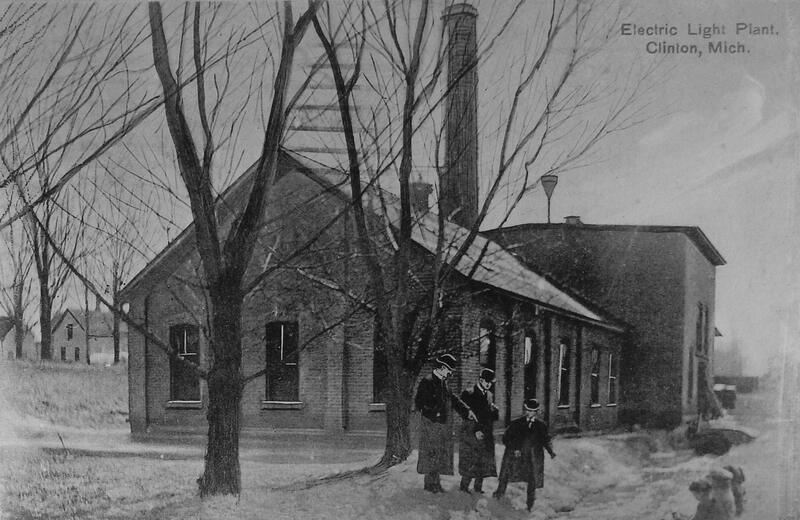 The original Clinton Electric Light plant, as seen in an old postcard view. Note that it is lower than street level, as is the SMRS building today. The foundations of the back part of the plant form part of the SMRS building’s basement. By the early 1970s the building stood empty, and gradually deteriorated. Most windows were broken out, and parts of the roof had collapsed. Ownership had passed to the village, and they were looking for a buyer. 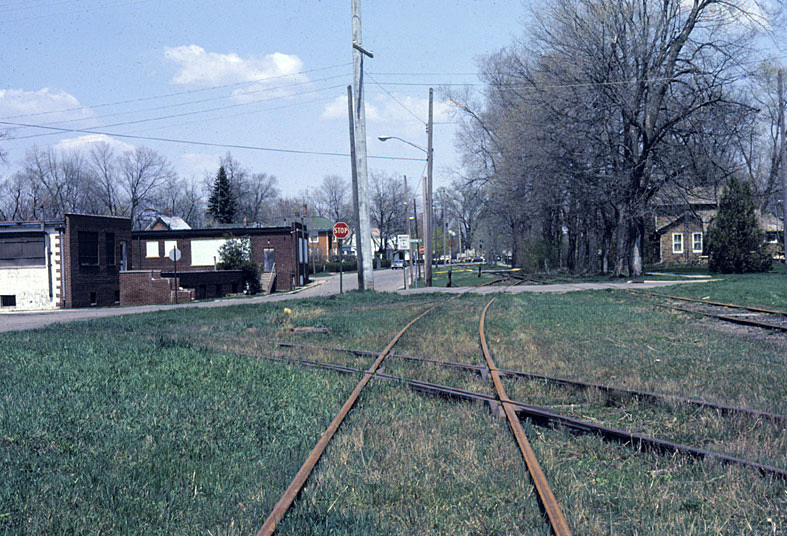 The Clinton rail yard in March 1982, with the abandoned Clinton Engines building on the left. 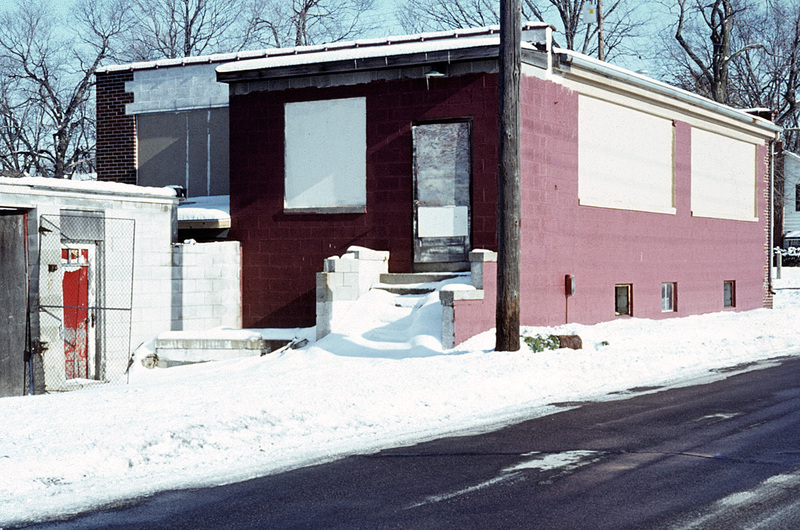 In 1982, the SMRS was being formed, and as the building was located right across the street from the railroad tracks in Clinton, it was a good location for the fledgling society to consider. And more importantly, it was cheap! 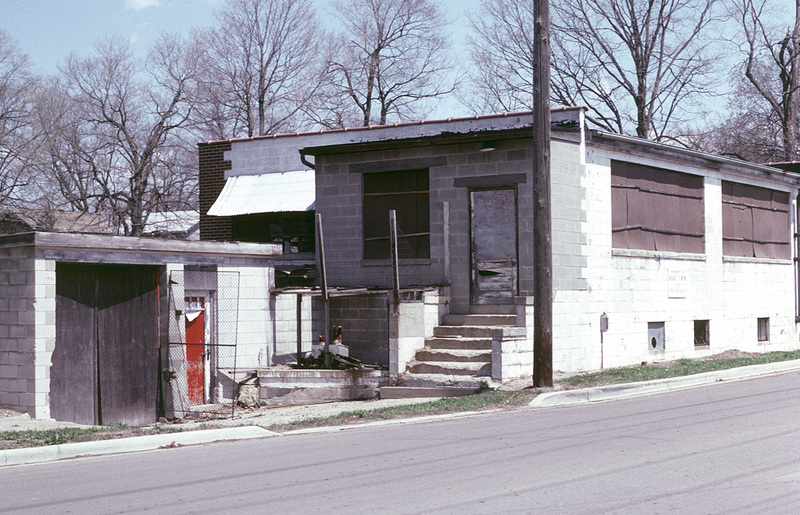 The Society made an offer of $510 to the village in June 1982, which was accepted. For this bargain price the Society obtained a building with no windows, no utilities, and no mechanical systems! As “The Cross Tracks” reported at the time: “If we are given the bid we will need help in the restoration of the building”. Hardly an understatement! After purchase of the building, the village turned on a water spigot in the basement for us and installed a meter and power socket on the utility pole by the back door. For the next few years, coming to work at the building required un-nailing the back door and “plugging in” the building to the socket! Bags and bags of debris were collected and deposited in a large dumpster. It was decided to cover the windows on the upper level of the building, which was to form the museum, in order to more efficiently heat it. 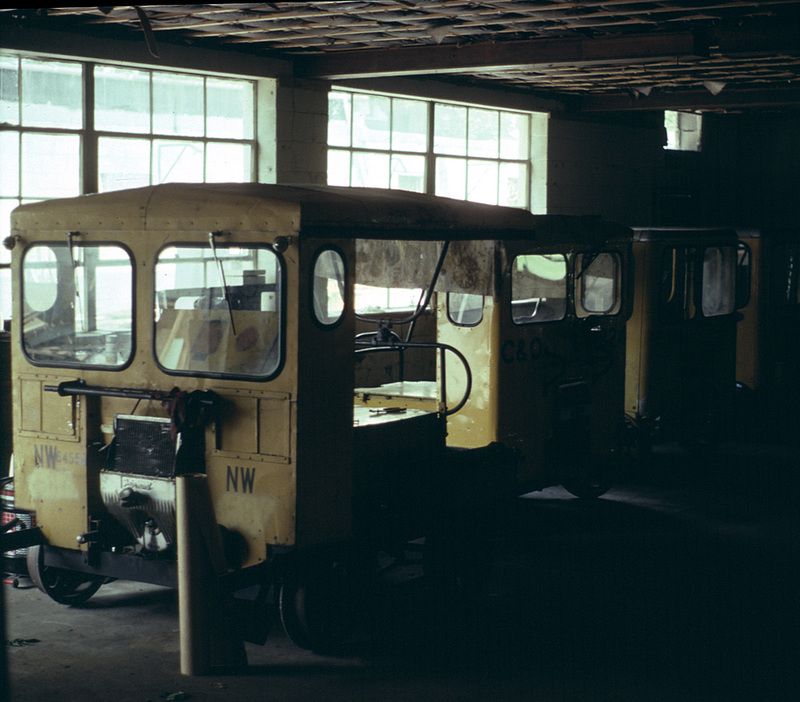 Even at the time of these early 1984 photos, only the upper floor of the building was usable, with kerosene heaters providing warmth. Note that the basement is still missing some windows! The far end of the building also housed the “crew room”, which was the meeting and rest place for volunteers working on the tracks. Since Clinton didn’t have a train station, I set up one end of the crew room as an operator’s bay, complete with old wooden desk, phones, manual typewriter, etc. It provided a little character and even Clinton’s old New York Central telegraph code “CK” was stenciled on the window. Someone donated an old Round Oak stove to the Society, and this was installed in the crew room to provide heat. Burning wood, it put out an acceptable amount of heat. Burning coal, we had to open the windows! 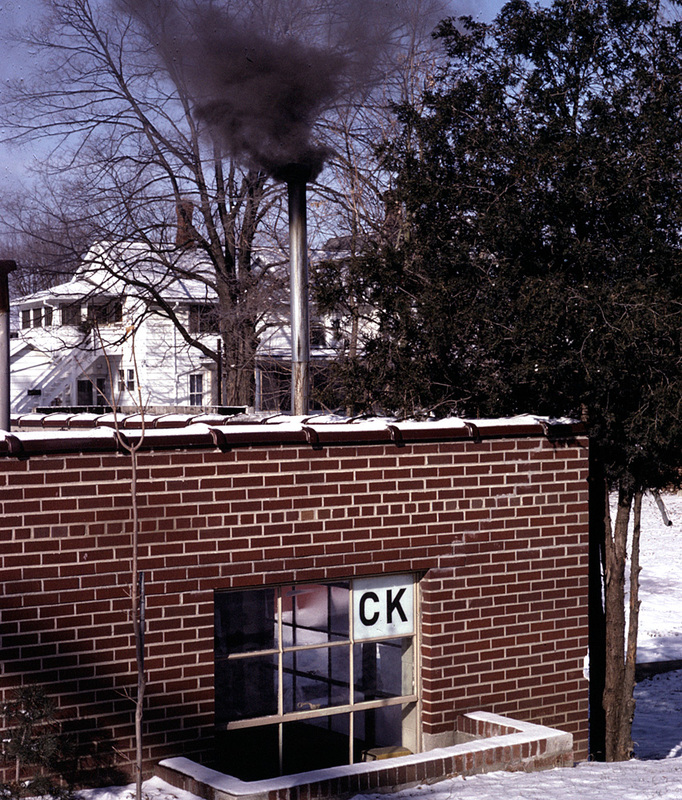 When using coal, the stove put out loads of black smoke, so we usually limited coal usage to times when it was dark, so as not to get the neighbors up in arms. No one ever asked about the layer of black cinders on the snow around the neighborhood in the mornings! Once night that old stove was burning to hot that the upper part turned orange. Eventually the entire lower area of the building was closed in, doors hung and window glass replaced, allowing SMRS projects to be carried out year-round. George Derby and Jim Patterson, members who were electricians, installed a proper electrical panel and ran power throughout the building and installed lighting. (Earlier, all the hanging light fixtures in the lower level were connected by extension cords!) Walls and partitions were built, and water lines run to the toilets. The roof continued to leak for years, but with not much money, the Society had other priorities. A contemporary view of the building, provided by Google. 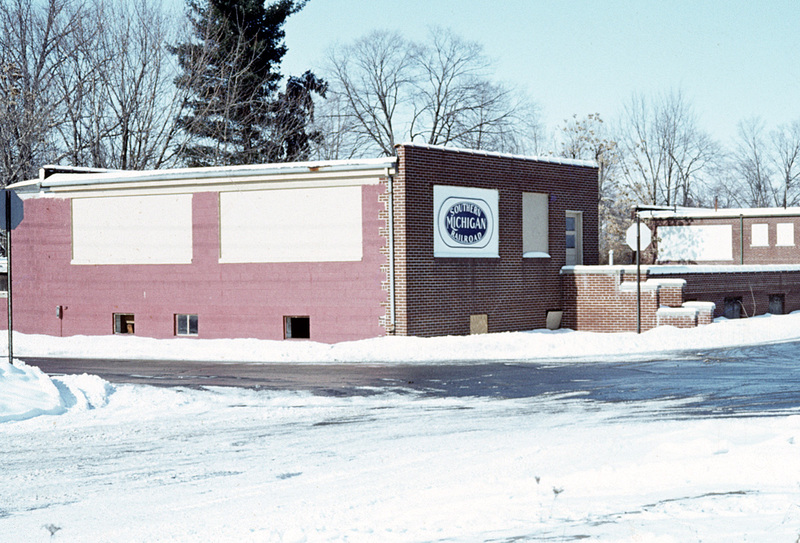 Today, 34 years after its purchase, the former-Clinton Engines building continues to serve as SMRS headquarters, although many workshop operations have been moved to the former Pallox factory on the south side of Clinton. The summer of 2016 saw the refurbishment of the upper-level museum room, so hopefully the building will continue to serve SMRS for many years to come.